Last year, Michigan Prosecutors created a committee aimed at improving the criminal justice system by developing recommendations regarding the best ways to address issues frequently faced by prosecutors and other stakeholders. Prosecutors hold a unique position as a minister of justice, with “the two-fold aim of which is that guilt shall not escape nor innocence suffer.” Berger v United States, 295 US 78 (1935). 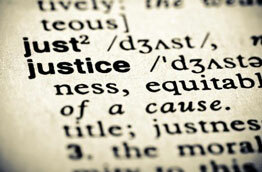 In seeking to achieve these goals, the Justice Initiative Committee has developed as its mission to: Ensure justice is delivered with the highest degree of integrity through the development of professional standards designed to improve public safety, protect the rights of the accused, secure justice for crime victims, and hold offenders accountable. The first five best practice recommendations, which have been adopted by the PAAM Board of Directors, relate to procedures to improve the reliability of eyewitness identification, assist in communications concerning cases with the media, continuing legal education, ethics, and conflicts of interest.